We are proud to announce that The Crossings of Mountain View Homeowners Association has selected Tinnelly Law Group as their associations’ legal counsel. 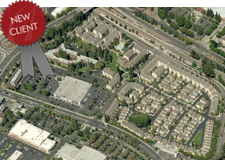 The Crossings is a master planned community located in the city of Mountain View, 30 miles south of San Francisco. It was awarded the Outstanding Planning Award by the American Planning Association in 2002. Residents enjoy a transit-friendly neighborhood, close to retail shops, parks, a daycare center, and the Caltrain commuter rail station. Our HOA attorneys and staff look forward to working with The Crossings of Mountain View’s Board and management.